Egg cartons are one of those hidden gems in the crafting world. Not only are they a great for recycled crafts, but egg cartons can also create amazing three dimensional crafts. When we made our 3D Fruit Cup Flower Garden Craft, an egg carton made the perfect garden base for planting our “flowers”. 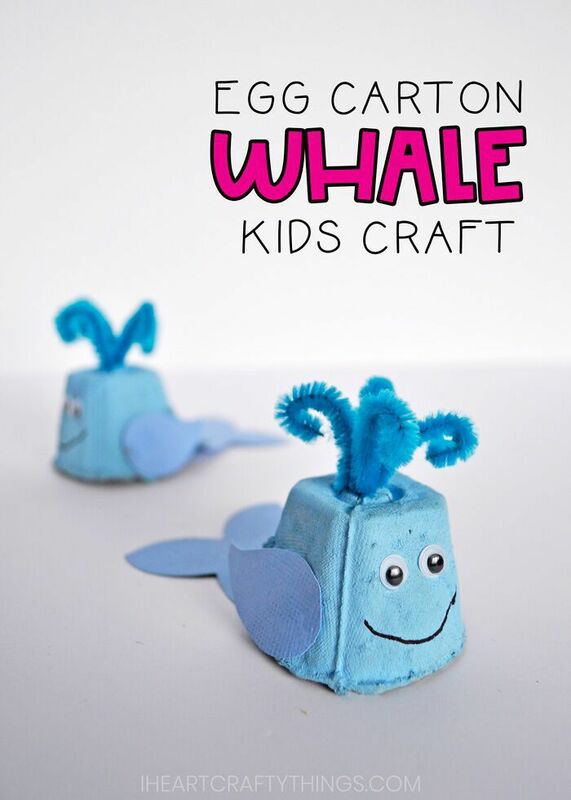 This time we got creative with egg cartons when we made this whale craft for kids. I just love the way it turned out! 1. Start with a whole egg carton and cut it into individual sections. 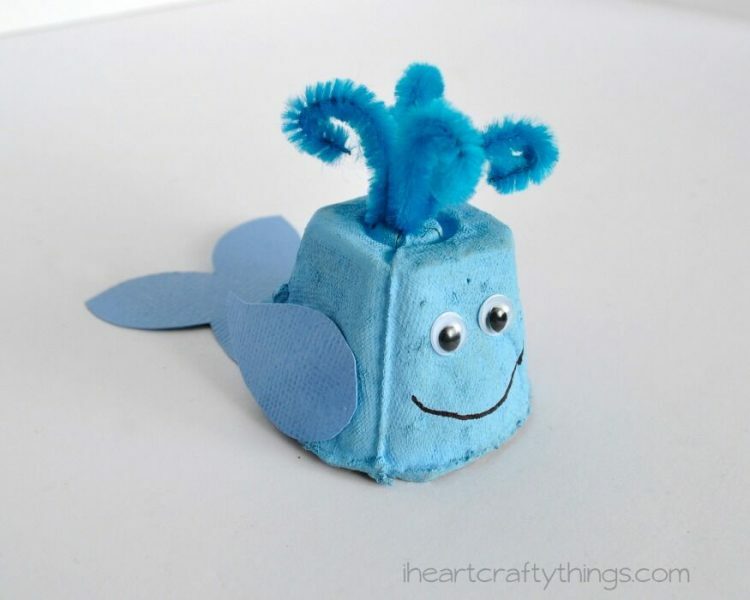 Depending on how many whales you would like to make, you can use an egg carton that fits 6 eggs, 12 or even 18. 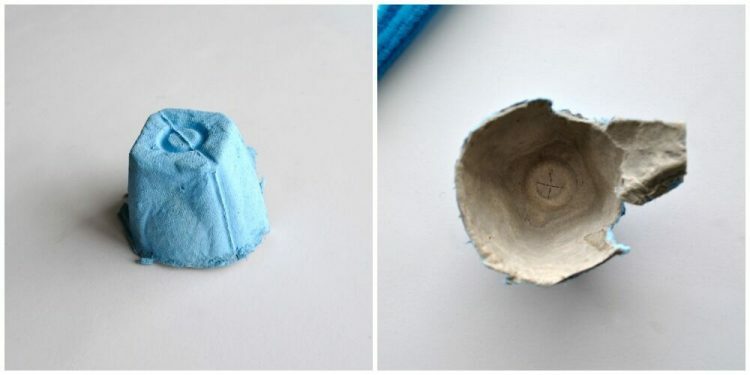 After you have cut the carton apart, paint each section with blue paint and let it dry completely. 2. Use a craft knife (for adult use only) to cut an X at the top of each egg carton piece. This will become the blowhole of the whale craft. 3. Next, take a blue pipe cleaner and cut it in half. Take the 2 new shorter pipe cleaners and bend those in half. Intertwine them together at the bend. 4. 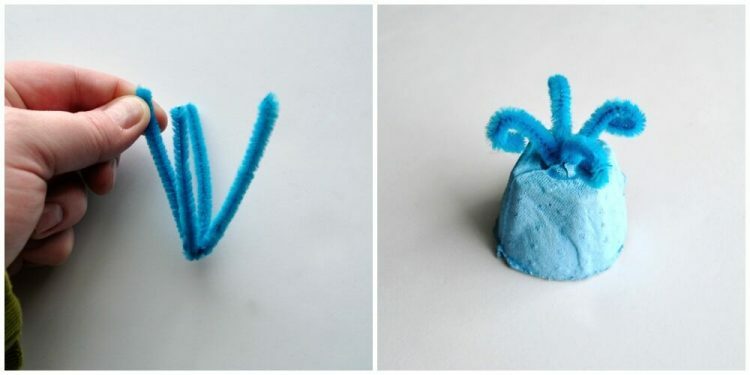 Pinch the intertwined pipe cleaner ends together and push them through the X at the top of the blue egg carton. Leave the intertwined section inside, so it’s no longer visible. Bend or curl the top ends of the pipe cleaners, so it look like water blowing out of the whale in the ocean. 5. 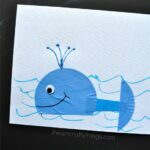 Cut a whale tail and fins out of blue cardstock paper. 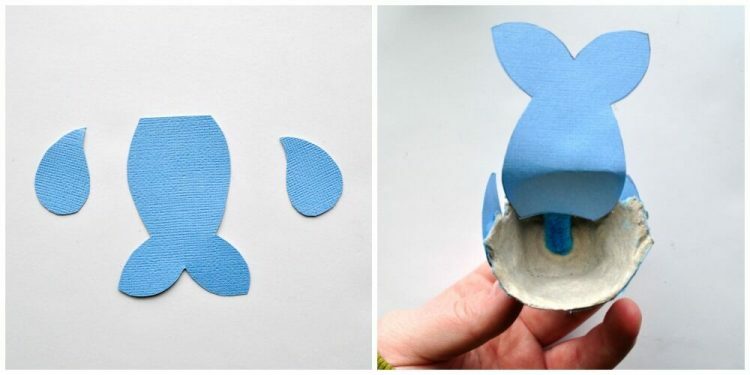 Use tacky glue to glue the paper tail and fins to the egg carton. I put some glue on the inside of the egg carton and tucked the tail up inside the egg carton. Use the picture as your guide. 6. 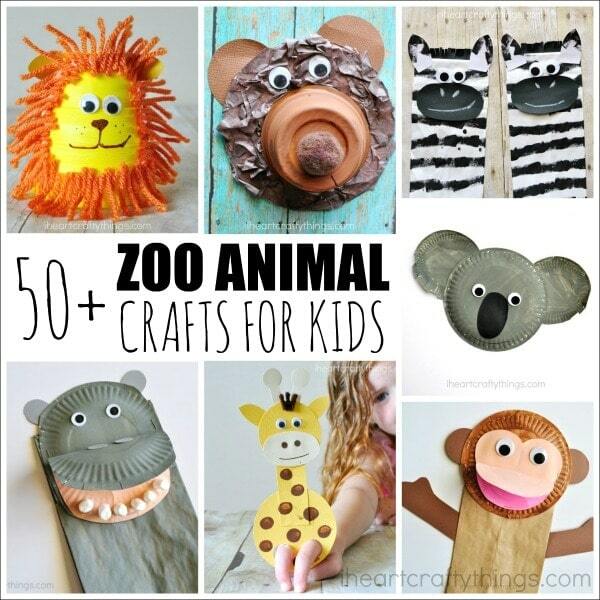 After your ocean animal has his tail and fins, finish it off by adding eyes and a mouth. You can glue googly eyes on your egg carton whale craft or draw eyes with a black marker. The black marker is also works for drawing on the mouth. 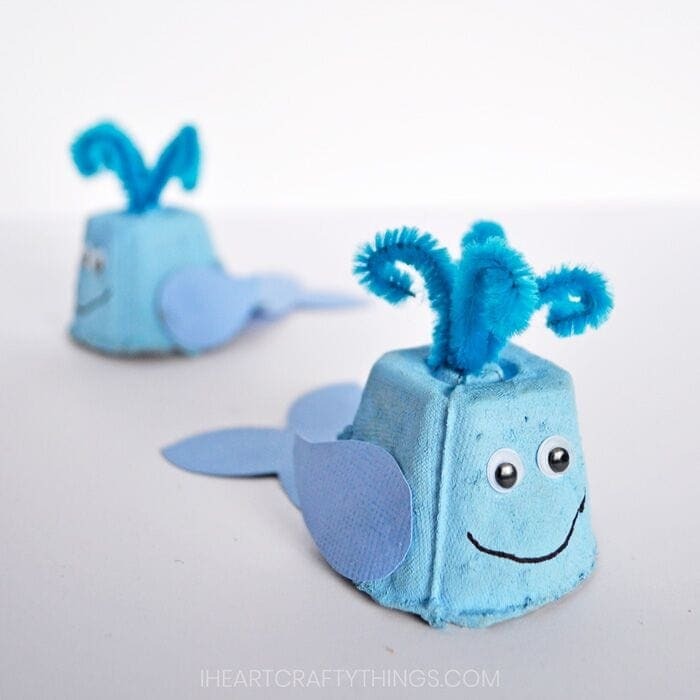 Because they are so easy to make and we had leftover sections from our original egg carton, we made several different egg carton whale crafts and they turned out as cute as ever! 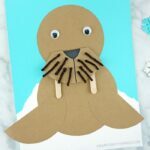 Looking for more fun ocean animal crafts for kids? 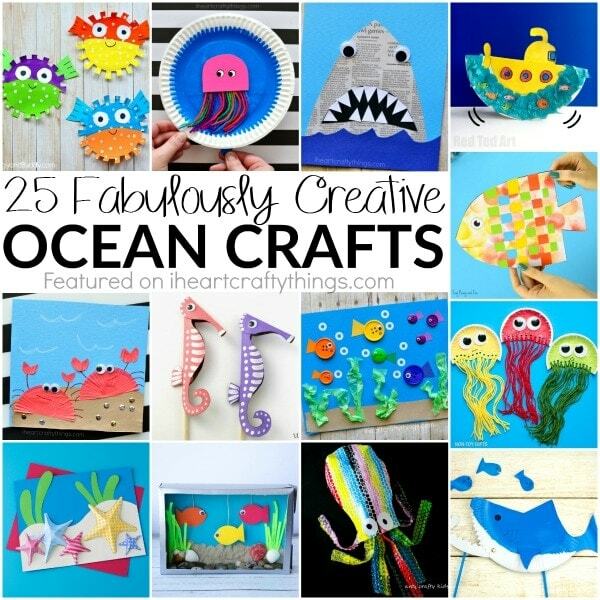 You’ll love this list of over 25 creative ocean crafts! 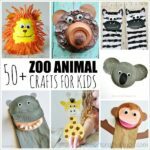 If you adore making animal crafts like we do, you are sure to find some fun craft ideas in this blog post of over 50 zoo animal crafts. 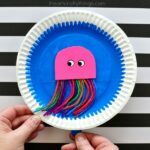 So many fun ideas for making animals from simple materials like paper plates, paper bags and so much more! @TinaGreat idea! Hope you enjoyed the craft! Is there a template for the tail and fins? So cute. I wanted to let you know that I am linking to this if you don’t mind.